Forest Trades bathroom fitters can install wet rooms, showers, new bathroom suites or complete bath/shower room redesign and refurbishments. 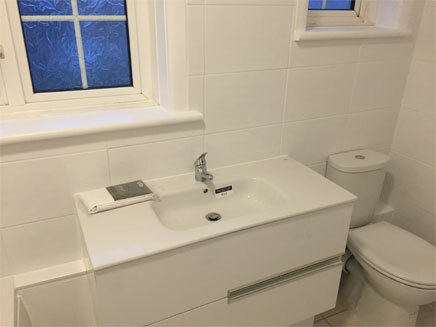 Again, all aspects of a bathroom refurbishment are covered by Forest Trades and associated tradesmen who have been handpicked for their experience and craftsmenship. Plastering, tiling, electrical work, plumbing, flooring and decorating are brought together to provide a seamless flow of progress throughout the project. The whole project is carried out in the minimum amount of time with the maximum consideration for you and your family. As with all our projects, Forest Trades make sure that the working area is kept clean and tidy during the process and all rubbish and surplus products are removed at the end. copyright © 2016 www.thenewforestbuilders.co.uk All rights reserved.